This afternoon I had some 2 hours of time available to activate one of the most wanted PAFFs. 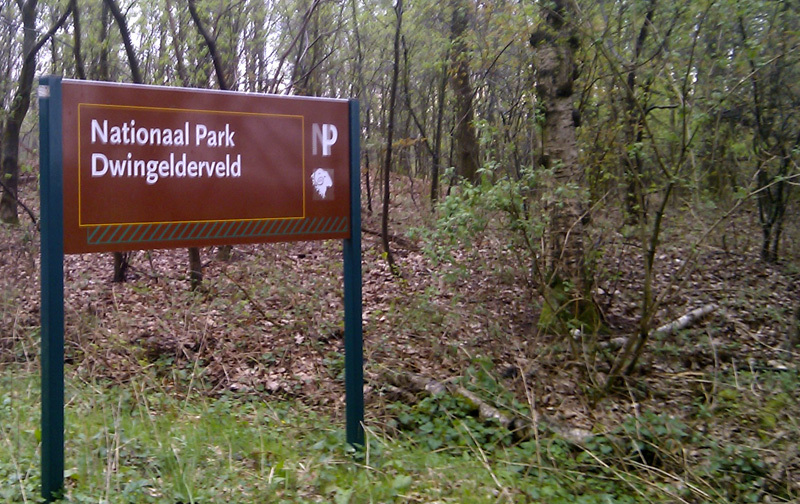 I had already selected a nice location for the /P operation at Dwingelderveld. However it turned out that one of the roads through the nature park was closed off. That made it impossible to reach my desired location. Luckily I had also preselected a few other spots at another part of the park. The downside of these spots is that they are located in the woods. 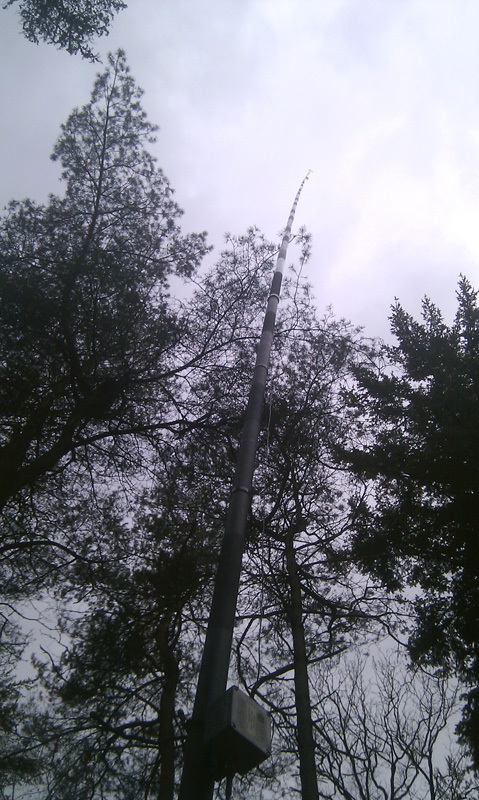 So after a delay I was again facing a challenge to set up the antenna (especially the extended mast of 15m for the 40m wire antenna) without getting stuck in the trees. I forgot to bring the 15m band wire and 10m was almost dead (a couple of weak signals), so I started on 17m. There was some activity on this band but not many OMs found their way to my station. After 4 contacts and a lot of calling I decided to go down to 20m. I changed the antenna to my multi 10-20-40m wire to enable to go down to 40m later without the need to change the antenna again. On 20m conditions were so-so with strong QSB. DX was sparse. Still I worked 62 stations in about 45 minutes. On 40m there was also quite some QSB with reasonable signal levels. The advantage being a lower level of QRM than usual. I worked 43 stations in 35 minutes. So in 90 minutes of radio time I worked 109 stations from 28 DXCCs. Maximum QRB was set by an OM from RV9 to 5000km. Luciano I5FLN and Albert S58AL came by on two bands. This time 30% of all stations logged were new callsigns to me.